Alien Shooter EX iPhone Game Review: Shoot 'Em Up! 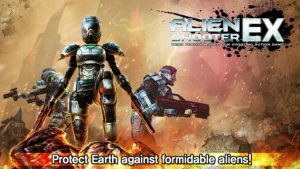 Alien Shooter EX iPhone Game Review: Shoot ‘Em Up! Alien Shooter EX is an iPhone game developed byRNTSMedia.Co.,Ltd. / Charlie Choi. If you love atmospheric shooters with great graphics, this game is well worth grabbing. Boasting some RPG elements, this action-packed 3D shooter takes place in an expansive 3D environment. Exploring that environment and taking down enemies is made incredibly simple thanks to a set of well-calibrated controls. Alien Shooter EX has dual touchscreen joystick controls, which keeps the screen uncluttered. The developers have tried to create a control experience that feels smooth during targeting, and they have definitely succeeded. As you progress through Alien Shooter EX, you can gather coins from dead aliens to buy more items from the in-app shop. With daily play, you can also earn rewards and armor. Overall, I have very few complaints about this game. Some of the in-game text seems a little laboured, but it never gets to the point where it’s unintelligible or feels badly translated. I wouldn’t call this game laggy, though there were some moments where pauses in the action seemed a mite longer than I would have liked. 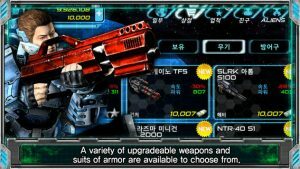 Alien Shooter EX is currently available at a special launch price of $1.99. It will eventually go back up in price to $3.99, however. So if you want to try this awesome game, now is definitely the time to do it! In short, if you’re looking for a sci-fi shooter with nice graphics, great music, and impeccable controls, then Alien Shooter EX really should be at the top of your list. 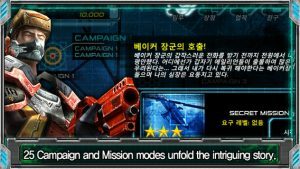 A shooting game is only as good as its controls, and the controls here are some of the most refined I’ve used in a mobile game. 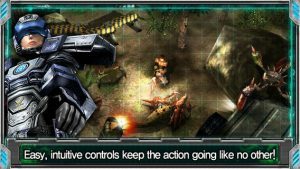 Alien Shooter EXrequires iOS 5.0 or later. Compatible with iPhone, iPad, and iPod touch. This app is optimized for iPhone 5.